How is compensation determined for a stolen car? 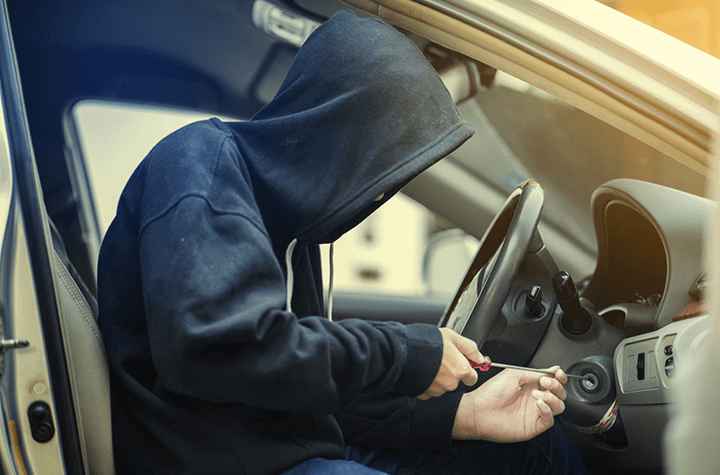 So, we have covered what happens if someone breaks into your car, but how exactly does compensation work if your car is stolen? Let’s paint a picture here. You’ve been shopping at your favourite mall, arms laden with purchases you make the trek through the underground garage to where you think you parked your car. You’re walking around, merely thinking you forgot where you parked, but then you realise that may not be the case at all, you’re car has been stolen. A situation no one wants to experiences, but for some, it is an unfortunate reality. Let’s have a look at how to go about getting compensation after realising your car has been stolen. If your vehicle is recovered during the claims process, you will be compensated for any damages that occurred during the theft. If your vehicle is not recovered, it will be considered a total loss, and you will be compensated accordingly. You and your insurer will come to an agreement regarding the market value or cash value of your stolen vehicle and will be the amount that you will be compensated. It is important to remember that you will not be paid for the original value of the vehicle, but what the vehicle is worth at the time of the theft. All this being said, the matter of whether or not you are covered for such compensation is dependent on the level of auto insurance coverage you have when your vehicle is stolen. Unfortunately, your most basic auto insurance policy will not provide you coverage in the event that your vehicle is stolen. In order to ensure you are compensated for a stolen vehicle, you must have comprehensive coverage added to your policy. Alternatively, all perils and specific perils will also give you the coverage you need. These additions to your policy come at a cost, but can be worth while in the event that something happens to your vehicle that is not typically covered by your standard auto policy. If you had anything inside the vehicle at the time that it was stolen, you will also be able to claim them. Unfortunately, your auto insurance policy does not cover your belongings, but your property insurance does. This means you may need to put forth the second claim and pay the deductible on that claim. So, think critically about what possessions were stolen and determine whether or not it is worth it to claim them. The good part about the two forms of compensation coming from different policies is that even if you do not have comprehensive coverage for your vehicle, you are still able to receive compensation for your belongings. What if you are still making payments on your vehicle? If your vehicle was stolen and you are still making payments on it, they will not magically disappear. You will receive the compensation based off of the value of your vehicle agreed upon between you and your insurer, but nothing beyond that, regardless of how much is still owed on the vehicle. You are able to put the compensation directly towards your vehicle's financing, but the remainder of the balance will have to come out of your pocket.